The code P0505 - Idle Control System Malfunction means that the engine computer cannot regulate the idle speed properly, or the actual idle speed varies from the target idle speed. The symptoms may include difficulty starting, hesitation, stalling, fluctuating idle, as well as too high or too low idle speed. 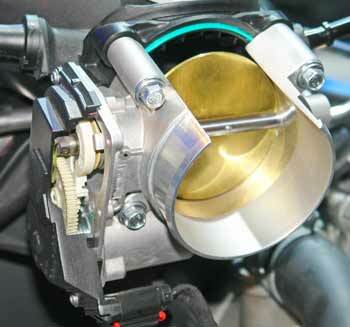 In modern cars with electronic throttle control (drive-by-wire), the idle speed is controlled by the throttle body. The engine computer (PCM) slightly opens or closes the throttle body (lower photo) to adjust the idle speed according to the conditions. For example, the idle speed is adjusted higher when a car is started cold, or when the air conditioner is turned on. The Honda Technical Service Bulletin (TSB) dated August 2008 describes a problem with some early 00's Odyssey and Pilot models where the stuck open idle air control (IAC) valve or broken power steering pressure switch wire can cause the idle speed to fluctuate, with the code P0505. As a solution Honda recommends replacing the IAC valve or (and) repair the power steering pressure switch wire located right above the steering rack boot on the passenger side of the vehicle. A Ford technical service bulletin for the 2006-2007 Explorer, 2004-2006 F150, as well as some other models describes a problem with hesitation, difficulty starting and low idle with the codes P0505 and/or P0506. Ford recommended reprogramming the ECM and replacing the electronic throttle body (ETB) if it fails the test as a solution. Another Ford TSB for the 2005-2007 Ford Five Hundred, Freestyle mentions spray cleaning the throttle body for RPM fluctuation with the codes P0505, P0506. 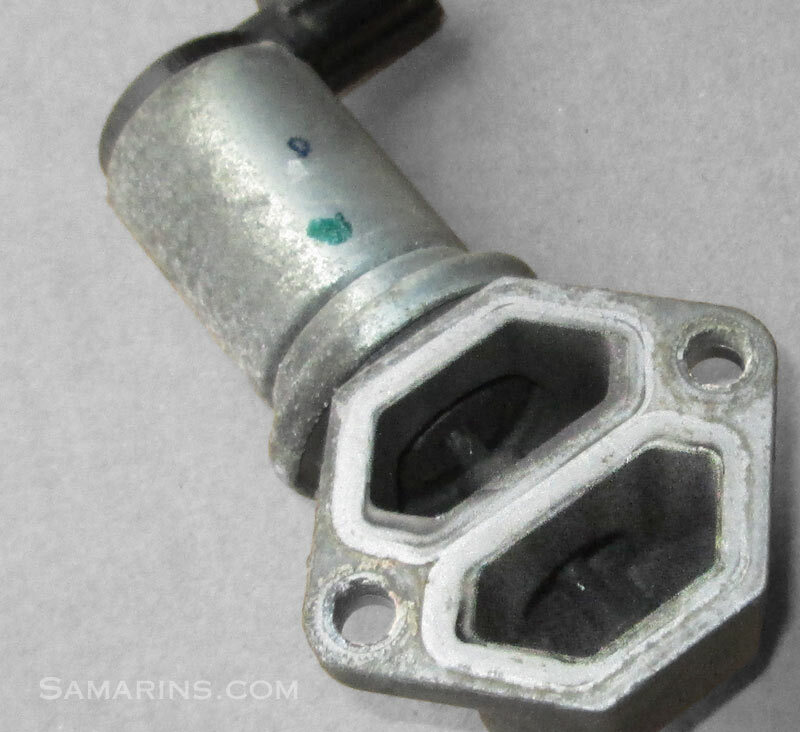 In some early 00' Nissan and Infiniti cars with the code P0505, the faulty IAC valve could even cause the engine computer to go bad as well. The Toyota TSB T-SB-0184-09 for some 2005-2010 Avalon, Camry, Highlander, RAV4, Sienna and Venza with the 2GR V6 engine recommends inspecting the PCV hose and air induction system for leaks and if no problems found, replacing the throttle body. Check for related service bulletins first. Check the live data including the idle speed with a scan tool. If there are other codes, they might need to be checked first. If the code P0505 appeared soon after the battery has been replaced or disconnected, it's a good idea to try performing the idle re-learn procedure. The procedure varies for different cars. A typical procedure involves several steps such as turning ignition ON and OFF and letting the engine run for a certain time. Find the procedure for your particular vehicle year make and model. 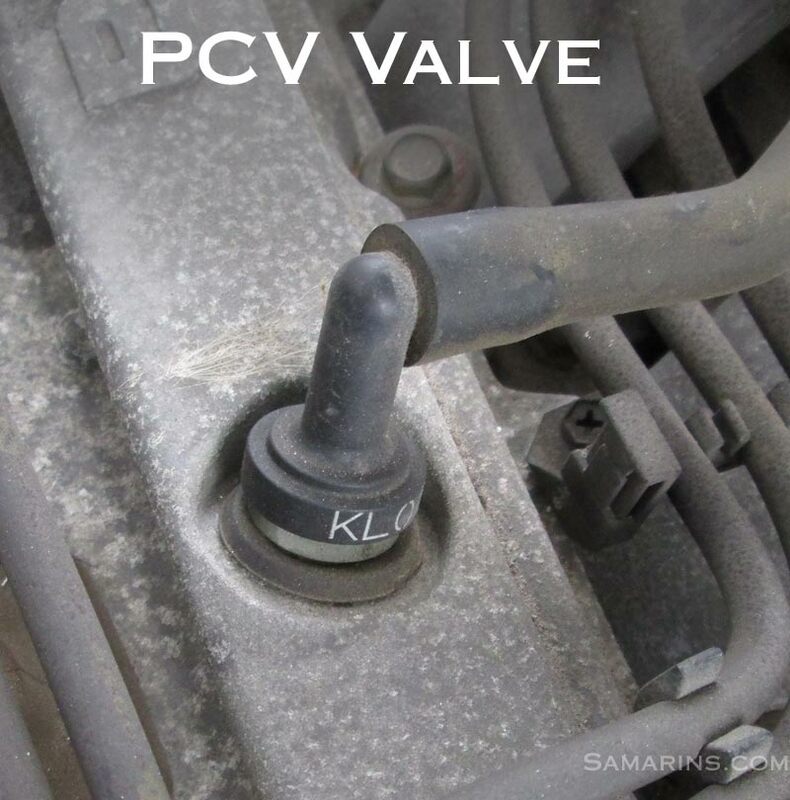 The air intake and PCV system must be inspected for leaks, as vacuum leaks can also cause the code P0505. Read more: Vacuum leaks: common sources, symptoms, repairs. 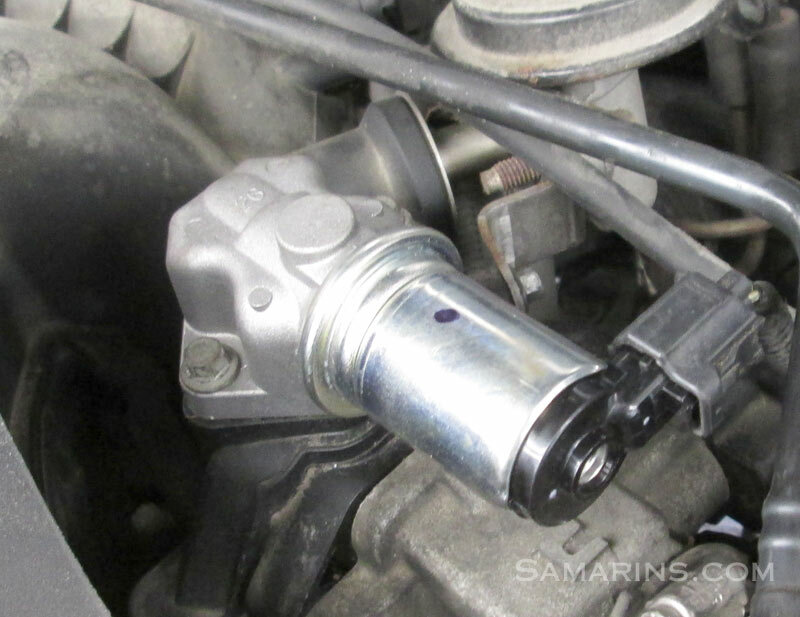 The IAC valve or throttle body connector and wire harness also must be inspected. In some Mercedes-Benz cars, an engine harness insulation can crack causing many problems. In some cars, low coolant level can cause the same problem. Check the coolant level. The IAC valve or throttle body must be inspected for carbon buildup. 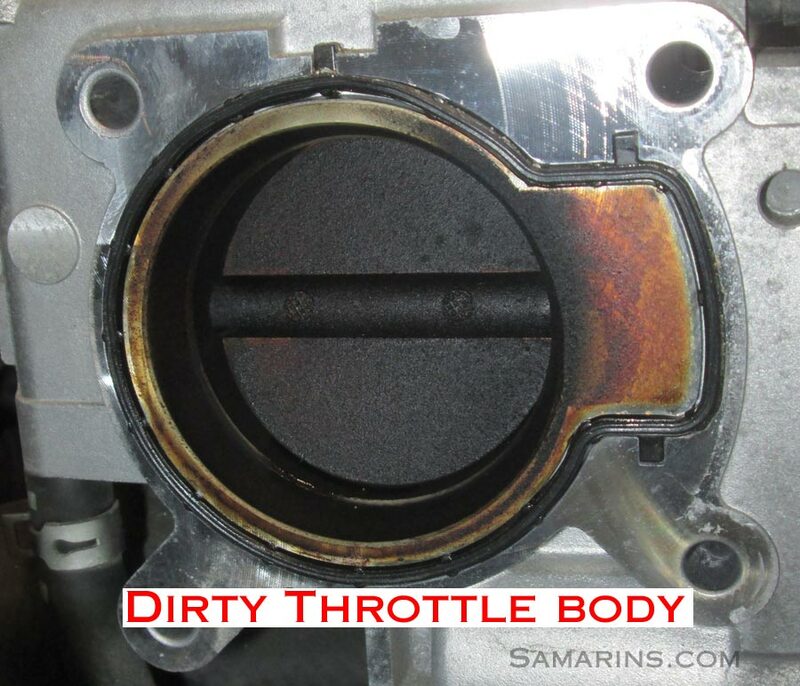 If dirty, the valve or the throttle body must be cleaned. If the problem persists or if recommended by a related service bulletin, the IAC valve or throttle body might need to be replaced. The IAC valve or motor are very common to go bad. In many cars, the idle relearn procedure also must be performed after cleaning or replacing the throttle body or IAC valve.